On 17th Sept 2015, we had organised our 1st Friendly Open Rapid Chess Tournament. It was a successful event, with good response. Sharing the report of the event here. How it started: Chess has given so much to me, I feel that maybe I can give back a little. Where do I start? There can be many good answers. One thing I felt that I can possibly do is to organize chess events that can help the upcoming players and also that publicize Chess. 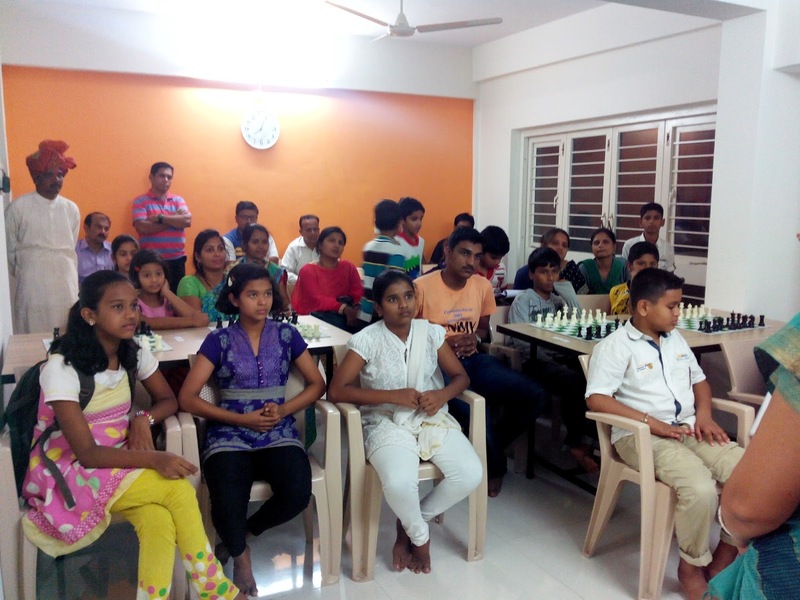 Events that encourage the active players, as well as inspire people to start playing chess. I want to do a lot for this beautiful game, and I can say that this first event is just a start. 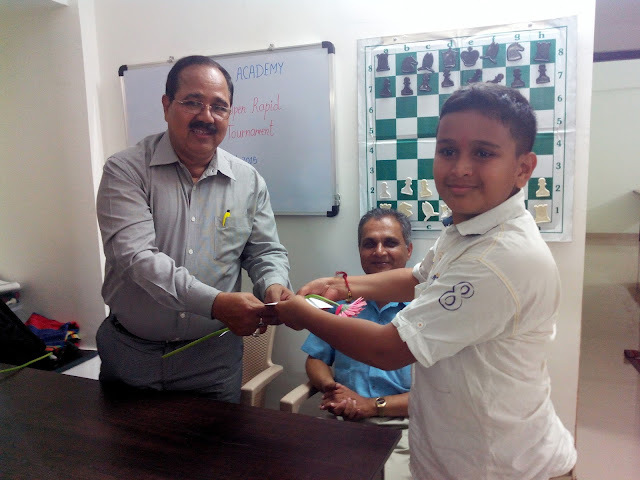 Invitation: Ruchess Academy is organizing it's 1st Friendly Open Rapid Chess Tournament on 17thSept 2015. Venue: Flat No 301, Lucky Homes, 313 B Ward, Opp Hotel Manora, Ring Road, Kolhapur. Note: Only first 20 entries will be accepted. Please confirm your participation through phone. If you wish to be notified about our next events, please let us know. Contact details at the end of this article. 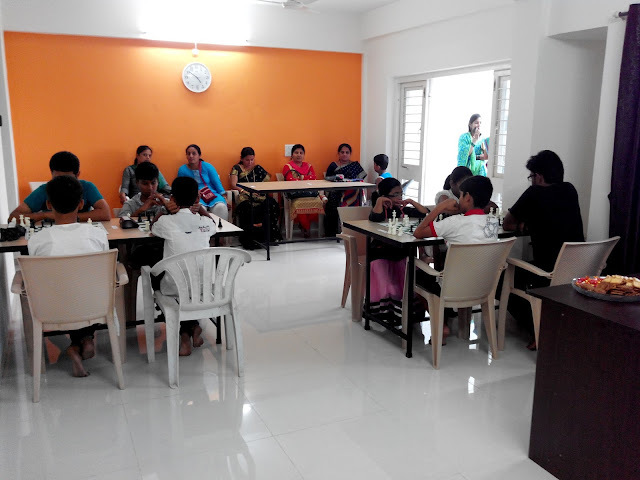 Organization: This friendly tournament was organised by me with the help of my parents. 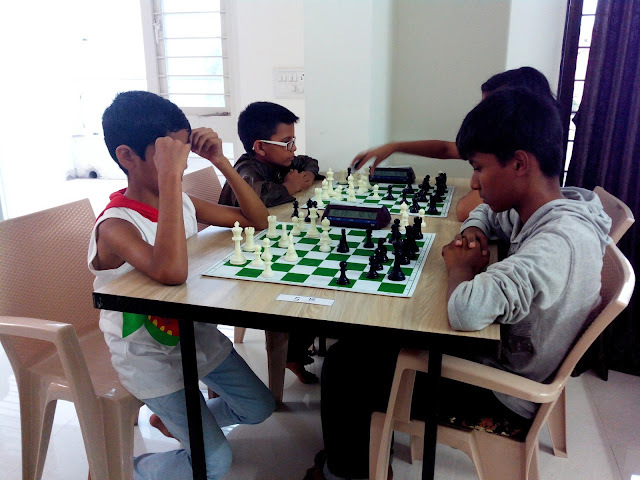 Since the tournament was conducted in academy, basic infrastructure of- tables, chairs, board and pieces, laptop, chess software was ready. Chess clocks and snacks were arranged. Response: We got a good response in short notice, seventeen players participated and showed their skills in some very interesting rapid games. List of players given below. Tournament details: Rapid time control of 10 mins + 5 secs was applied. Tournament was played in total five rounds. Sharing some of the moments from this event through pictures. Players in action... Rapid time control = fast moves! Few words: It was an enjoyable experience organizing this event, in fun and friendly yet serious-on-the-board manner. We would like to thank the players and parents for their co-operation. I feel that such events will definitely encourage chess activity. 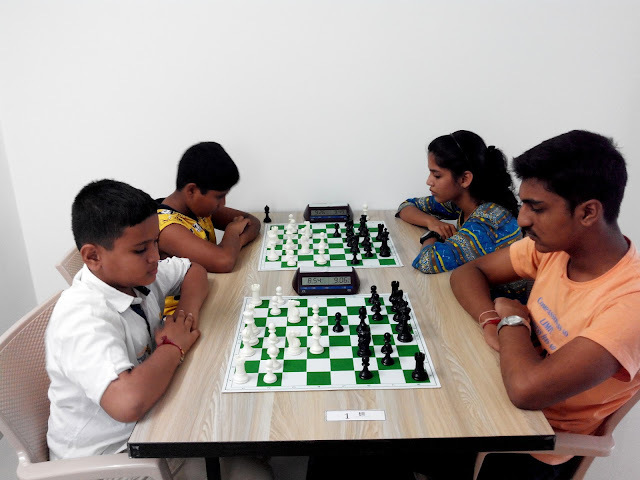 Ruchess Academy was formed in September 2015. We would like to organize more events and will keep updating about it. 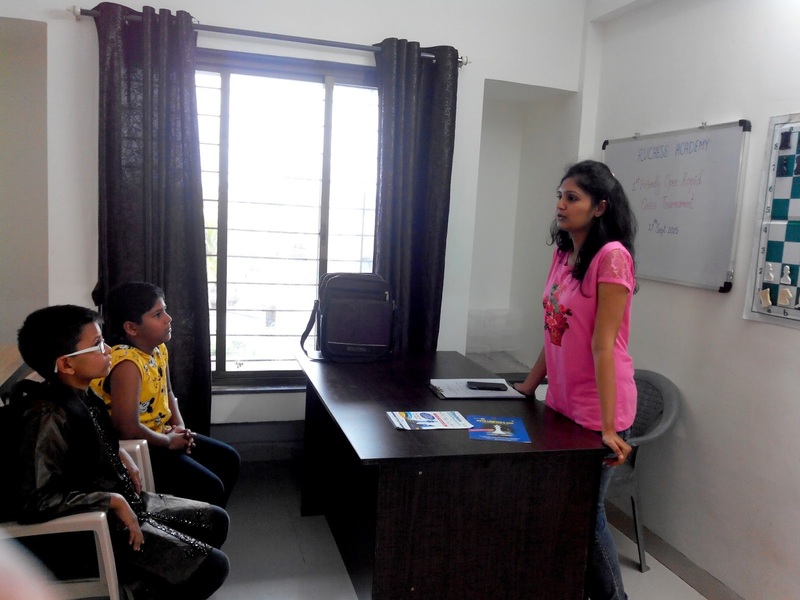 Apart from such events, our main focus is on training the players. 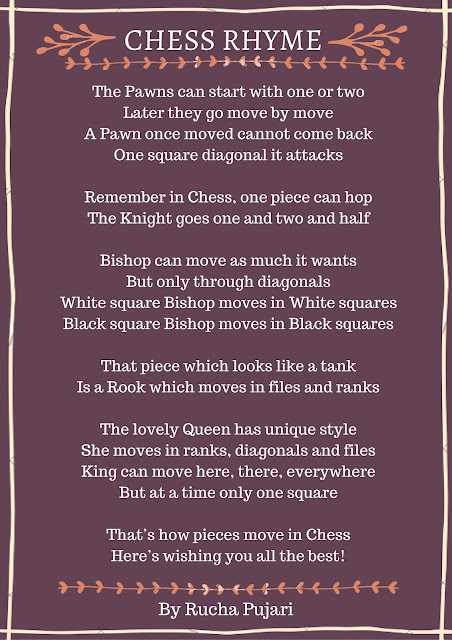 Our aim is to create and train the players and popularize this beautiful game of Chess. 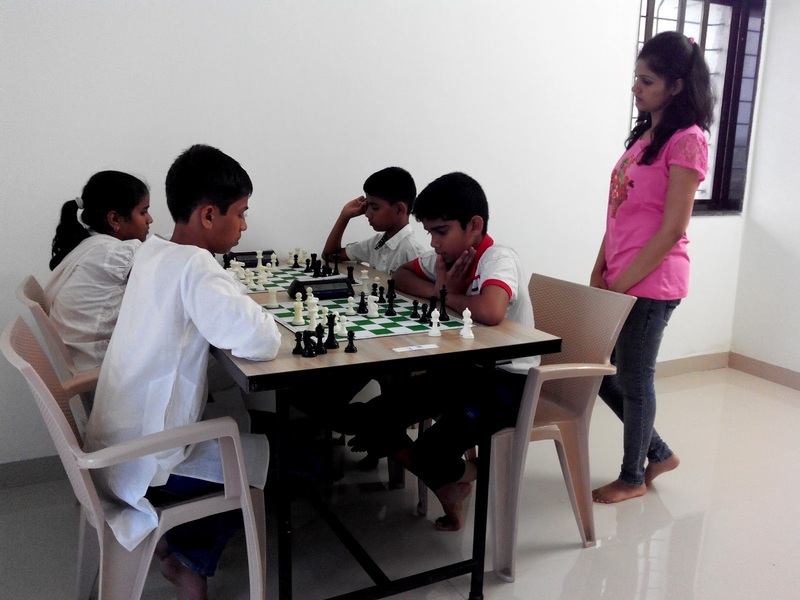 Doing great job to increase new talent in chess,,, all the best.... keep going.